Image 6851765: Business Security on Chalkboard with Doodle Icons. 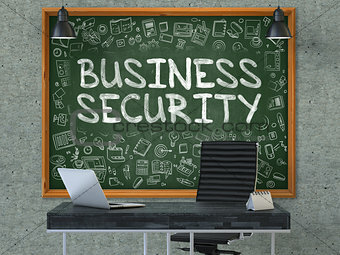 Image Description: Business Security Concept Handwritten on Green Chalkboard with Doodle Icons. Office Interior with Modern Workplace. Gray Concrete Wall Background. 3D.